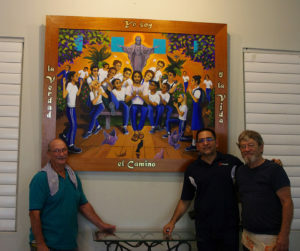 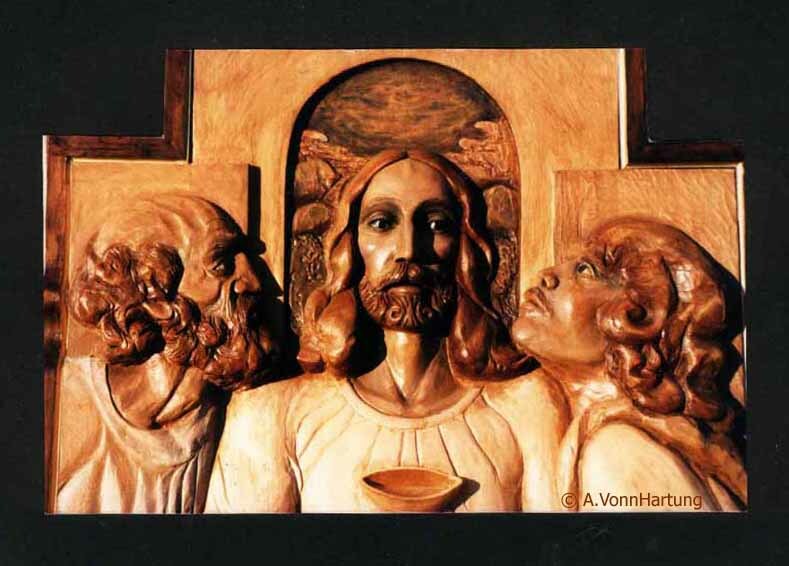 A 27 sq ft work of art by A.VonnHartung for the students of Colegio (High School) San Juan Bosco at Parroquia Maria Auxiliadora, Cantera, San Juan, Puerto Rico (Párroco Padre Colacho SDB). Commissioned by the Director and Theology Professor, Padre Jorge Santiago SDB . 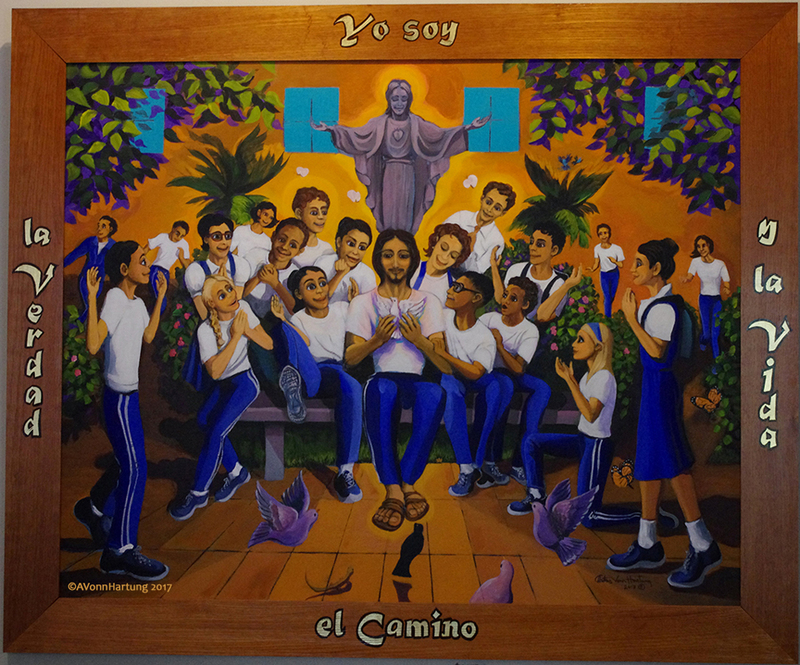 Was installed in the main hallway of the school on the Feast Day of San Juan Bosco 31 January 2017. The painting expresses an Epiphany of Faith, Joy, Love of Community and Learning, so much evident in the Christ-filled spirit of the school.